With Richard Jones, Author of "Walking Dickensian London"
Join author Richard Jones for a series of entertaining and informative Dickens London walks that explore the life, times and works of Charles Dickens - England's greatest novelist. 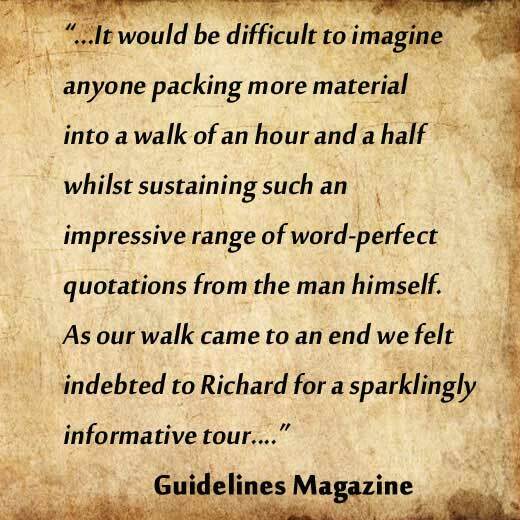 Richard is the author of the definitive guide book Walking Dickensian London and he has appeared regularly on the History Channel, The Travel Channel, ITV and BBC Breakfast News as an expert interviewee discussing Dickens and London. Who better to show you the sites and introduce you to the magical world of Dickens London? These walks will introduce you to numerous aspects of Charles Dickens life in London, and Richard will not only regale you with interesting facts and fascinating insights into Dickens life and times, but he will also entertain you with flawless quotes from Dickens works, all of them presented with an inimitable and dramatic flourish. 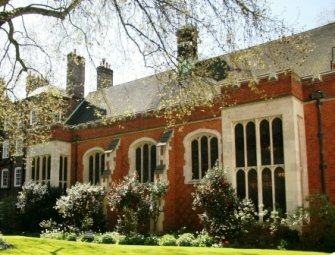 Beginning with the troubled years of his childhood, these Dickens London tours will follow him through the early years of his writing career as he rose from lowly jobbing journalist to world-famous author. You will follow him through London as he embarks upon his rags to riches journey through a life that would take him from being an unknown debtor's son to becoming the most famous Englishman alive. Personal recollections from Dickens himself, and from those who knew him, will capture the highs of his life, before shining a light on some of the lows of his, to say the least, complicated final years, when his marriage broke down and his private life became shrouded in mystery. All in all, you will leave the tour with a real insight into the personality of a man who, to say the least, was a complex mixture of benevolence and caring and determination and drive. A man who managed to rise from the ashes of a traumatic and troubled childhood and ascend to heights that his younger-self could only have dreamed of; so much so that, by the time of his premature death, he was, without doubt, the second most famous Victorian. On each of these London tours you will seek out places that have changed little, if at all, since the days when Dickens knew them and featured them in his sketches, short stories and novels. From a very early age Dickens loved to walk around London, absorbing its different atmospheres, taking in its sights, sounds and smells; observing its people; and marveling at the hustle, bustle and sheer exuberance of its streets. He loved to explore its hidden nooks and crannies and he found inspiration in some of the city's most down-at-heel and notorious neighbourhoods. Each of the places he visited, all of the scenes he witnessed, and every person he encountered on his numerous exploratory London walks would lodge in his memory where they would be filed away until, sometimes years later, they would resurface to fire his imagination and inspire him in the creation of a host of immortal characters and timeless literary scenarios. Such was his eye for detail that it is still possible to take to the streets of London armed with books such as Oliver Twist, David Copperfield, Bleak House and A Christmas Carol, and see the streets through which you are walking just as they would have appeared to the residents of the Victorian Metropolis. 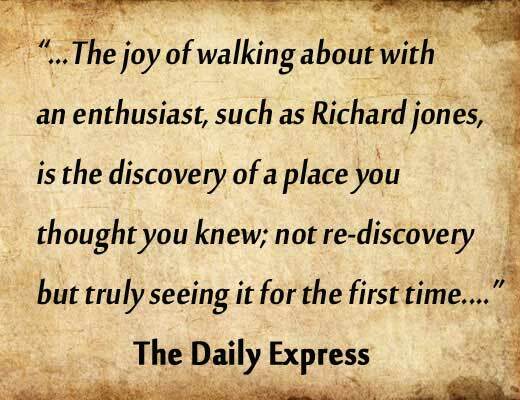 On each one of his walks through Dickensian London Richard will use extensive quotes from Dickens's novels and episodes from Dickens life to bring the streets through which you will be walking vividly to life. You will stroll along Strand in the company of David Copperfield, and walk along Hatton Garden with Oliver Twist. You can delve into the gas-lit courtyards of the Temple that are still much as they were when Dickens wrote of them that you can read upon the gates "Who enters here leaves noise behind." You can duck into a warren of tiny, tucked away alleyways at the heart of the old City of London to picture Ebenezer Scrooge humbugging his way home on a long ago snow-blanketed, fog-shrouded Christmas Eve. You can even cross the threshold of some wonderful old London taverns to enjoy a drink (in spirit at least) with the likes of Mr. Pickwick, Bill Sikes, Fagin or David Copperfield. Even the names of some of the thoroughfares through which you will stroll on these Dickens tours will conjure up vivid images of bygone days. Names such as Bleeding Heart Yard, Hen and Chickens Court, Pope's Head Passage, Turnagain Lane and Huggin Hill, to name but a few, are firmly rooted in London's past! As Dickens himself put it in the Sketches By Boz - "What inexhaustible food for speculation do the streets of London afford!" A writer is inevitably influenced and inspired by his or her personal experiences and surroundings, and Dickens was no exception. Indeed, London permeates the pages of practically every one of his novels - as well as the pages of many of his short stories and sketches - impressing itself indelibly on every scene and every character. As E. Berresford Chancellor put it in his book The London Of Charles Dickens "...so strong was Dickens's interest in London, so invariably telling his merest reference to its streets and hostels, its public buildings and its monuments, that every one of his works...possesses the London air - is somehow pervaded by the metropolitan atmosphere; so that if you are with Nickleby in Yorkshire, or with David Copperfield in Suffolk, or with the Chuzzlewits in Wiltshire, you feel you are but there temporarily, and that a stage-coach will soon appear to carry you, not unattended by adventure, to the throbbing heart of London..."
In his earliest works Dickens staked his claim to the streets of London and, having done so, he returned to them time and again to use them as he thought fit and as the plot of a novel required. When working on a storyline he would embark upon mammoth London walks to familiarise himself with the neighbourhoods in which he would be placing his characters, and his many and varied rambles provided him with a vast array of locations that gave him an unrivalled backcloth against which to set the adventures of his numerous characters. But our walks around the London of Charles Dickens will also take you to the locations that featured in his life, beginning with his formative years. Chief amongst these locations are the remains of the Marshalsea Prison where Dickens's father, John, was imprisoned for debt when Charles was just eleven years old - an episode that had such an emotional impact on the young Charles Dickens that it came to haunt him for the rest of his life. Indeed, so ashamed was he of his father's imprisonment that it remained a closely guarded childhood secret - hidden even from his children - and the events surrounding it did not become universally known until after his death. Yet this troubled childhood period provided a rich vein of experience that he later mined to great effect in the creation of some of the most memorable moments ever depicted in English literature. 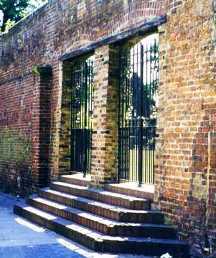 It is a poignant moment on the Dickens London tour when the walk arrives at the surviving wall of The Marshalsea Prison and Richard quotes Dickens observation, from the preface of the first edition of Little Dorrit, that whoever stands on this spot will be standing among "...the crowded ghosts of many miserable years..."
However, Dickens overcame this setback of his formative years and, by his early 20's, had become an acclaimed reporter whose skill at noting down Parliamentary debates with extreme accuracy earned him the respect of many of the influential people of the age. It was during this period that he assumed the pseudonym Boz, under which name his early works would appear. In this guise he began setting down on paper a series of literary observations on everyday London life that would later become the Sketches By Boz. The Dickens walk around the Fleet Street and Temple area visits the grave of Oliver Goldsmith, a favourite author of Dickens's childhood and the author who inspired the creation of the name Boz. This same walk also visits the alleyway where the offices of the first magazine to publish Dickens Sketches once stood. The Sketches succeeded in attracting attention to Dickens's talent as a writer and he was approached by the publisher Chapman and Hall who commissioned him to begin writing the work that would set him on the road to fame and fortune. 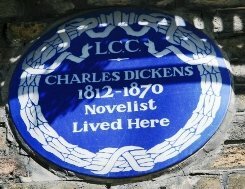 On the Dickens London tour around the Chancery Lane area you will see the site of the location where he was living when he was given that first commission and where he first won international acclaim, plus the equivalent of superstar status, with Pickwick Papers. Such was the success of Pickwick Papers that Dickens was able to lease a large property on nearby Doughty Street and, for a time, was able to enjoy the fruits of his labour, immerse himself in family life with his wife Catherine and their first child, also named Charles, and bask in the glory that his fame and fortune had brought him. His contentment was greatly enhanced by the presence in their household of Catherine's youngest sister, Mary Hogarth, with whom he developed an intense platonic relationship. 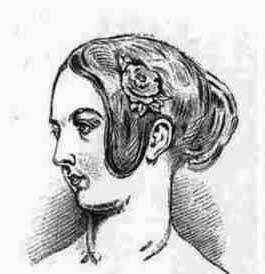 But his happiness and contentment was brought to an abrupt halt on the 7th May 1837 when his beloved sister-in-law, Mary Hogarth, died suddenly of heart failure aged just eighteen. Dickens was inconsolable in his grief, and he and Catherine retreated to rural Hampstead to mourn her passing. The Dickens Tour of Bloomsbury visits the house (now the Dickens House Museum) where Mary died, whilst the Dickens Hampstead Walk takes in the, still very isolated and delightfully rural, cottage where Charles and Catherine sought solace in the aftermath of their devastating loss. The Dickens London tours will feature many of the locations around London that Dickens wrote about at the height of his prowess as an author. You will see the house of his great friend and primary biographer John Forster, which became the residence of the sinister lawyer Mr. Tulkinghorn in Bleak House, and where, according to Dickens, "...in these shrunken fragments of its greatness lawyers lie like maggots in nuts..."
A stone's throw away from Forster's house is the Royal College of Surgeons where, according to Mr. Boythorn in Bleak House, the skulls of the lawyers from nearby Lincoln's Inn should be arranged "...for the contemplation of the whole profession, in order that its younger members might understand from actual measurement in younger life, how thick skulls may become!" Speaking of Lincoln's Inn, the Dickens London tour around Holborn will take you to Lincoln's Inn Old Hall where the memorable opening scene of Bleak House occurs in "...implacable November weather..." with "..fog everywhere... and in Lincoln's Inn Old Hall, at the very heart of the fog, sits the Lord High Chancellor in his High Court of Chancery..."
Standing outside Lincoln's Inn Old Hall, Richard will recite the evocative opening scene from Bleak House for you and explain why Dickens felt compelled to warn his readers that they would be better to "...suffer any wrong that can be done you, rather than come here!" In 1847 an expedition to find the fabled North-West Passage led by Sir John Franklin (1786-1847) had disappeared, seemingly without trace. Numerous attempts were made to discover what had become of them - and, bizarrely, more lives were lost searching for Franklin than the number of men who had been on the original expedition - but it was ten years before one of Franklin's ships was found, together with a log of the expedition. It was ascertained that, having endured one winter, the vessels had become ice-locked and Franklin, together with several of his men, had died. Following another ice-locked winter the survivors had abandoned their vessels in a desperate bid to escape their inevitable fate. All of them, however, were to perish in the Frozen wastes. Despite the evident harrowing last months of the crew members, Victorian sensibilities were absolutely horrified when evidence emerged that the crew members who had survived the original two winters had, apparently, resorted to cannibalism to stay alive. What does this have to do with Dickens? Well, Dickens was as outraged as many of his countrymen by the claims of cannibalism, and he wrote a scathing article in his magazine Household Words deploring the idea that Englishmen would resort to such behaviour, even if it did mean the difference between life and death. Dickens also encouraged his friend and fellow writer Wilkie Collins to write the play The Frozen Deep, that was partly inspired by the Franklin expedition and in which Dickens himself played the lead role of the heroic and self-sacrificing Richard Wardour, a part for which he grew the beard that would become his most recognisable physical feature to later generations. 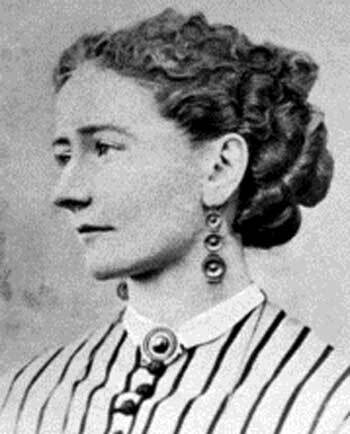 It was in staging the Frozen Deep that Dickens sought suitable actresses to play the female roles and met, and became besotted by, a young actress by the name of Ellen Ternan. Within a year of meeting Ellen Ternan Dickens had separated from his wife, Catherine, and 'Nellie' became his constant companion, and probably his lover, for the last thirteen years of his life. On our London Dickens tour around Westminster you will see the theatre where Ellen Ternan was given several acting jobs at Dickens's instigation, and learn how their relationship became one of the most closely guarded secrets in the Victorian literary world, as should even a hint of it have leaked out, it would have destroyed both Dickens reputation and his career. This period of Dickens life provides a fascinating insight into Dickens as a person, since it enables us to look beyond the carefully crafted public image that Dickens had worked hard to create, and presents us with a side of him that often gets overlooked. 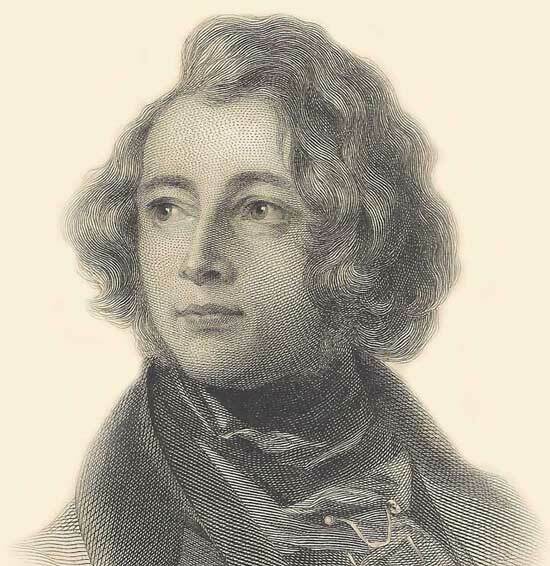 Yet, to disregard this turbulent period in his private life is a grave mistake, since it presents us with an opportunity to come face to face with Dickens the man; and to assess the good and bad aspects of his character that the breakdown of his marriage and the relationship with Ellen Ternan exposed. We've gone into a lot of details about the various aspects of Dickens London covered on the walks. Hopefully, the descriptions will entice you to want to explore the London of Charles Dickens and to follow in his footsteps. 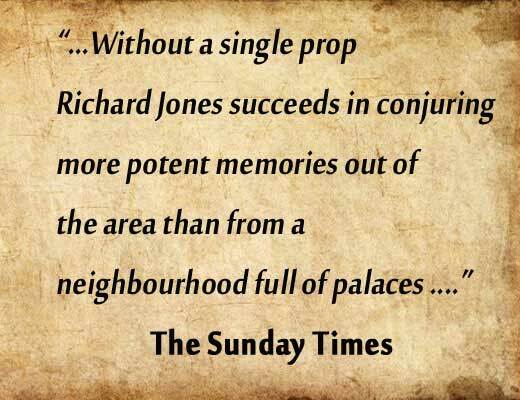 Richard Jones is the perfect companion to introduce you to the life, times and works of Charles Dickens as he has been conducting Dickens London walks since 1982. 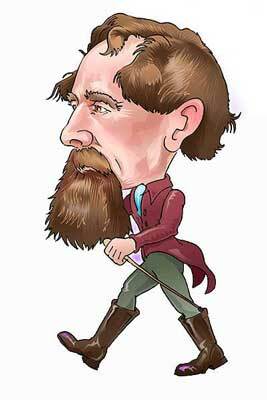 He offers regular departures and a variety of different tours that cover several aspects of Dickens life and works. In addition, if you simply wish to explore at your own pace, or at a time that is convenient to you, then you can either purchase a copy of Richard book Walking Dickensian London and follow its step by step directions, together with its extensive quotes and snippets of information about Dickens's life. Failing that you will also find a dedicated guide to Dickens locations in London elsewhere on this website, which includes a free DIY print off and go walking tour. In short, if you really want to discover some of the wonderful and timeless places that have survived the ravages of time; if you really want to learn more about the life of England's greatest novelist, whilst visiting the many places in London that feature in his works, then these tours of Dickens London will prove right up your street and, no matter what degree of knowledge you possess about Dickens and his works you will find that these tours will truly bring the streets of Victorian London vividly to life. Indeed, you will take away with you a huge array of intriguing facts, fascinating history and flawless quotes on our Dickens London walks and tours. So much so that, it is our sincere hope, that, having encountered Dickens and his rich array of character, you will feel inspired to go off an delve further and deeper into the life, times and works of a man who lived life to the full, who contributed so much to the society in which he lived, and who left us with a wonderful body of work that can still be enjoyed today more than 140 years after his death. Click on a day, and the tours for that day will apear directly beneath the calendar (you might have to scroll down to see them). Pickwick Papers, the work that established Dickens fame, was the idea of the artist Robert Seymour (1798 - 1836) and was intended as a series of sketches about the mishaps of a group of comical cockneys known as the "Nimrod Club." Dickens was originally employed to write the captions for Seymour's sketches. However, following Seymour's suicide Dickens interviewed several artists to take over the project. 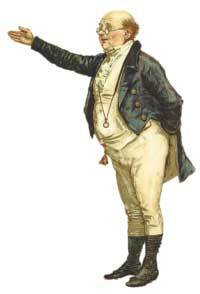 Amongst those that applied (and was turned down) was a young William Makepeace Thackeray. When Dickens first came to London in January 1815 London's population stood at around half a million people. However, by the time of his death, in June 1870, the population had increased to just over 2.5 million people. Despite the appalling way in which Dickens treated his wife, Catherine, over their separation, she never stopped loving Dickens and continued to read his books avidly. As she lay on her deathbed, in November 1879, she handed their daughter Katy the letters that Dickens had written to her early on in their marriage. "Give these to the British Museum," she told Katy, before adding, poignantly, "that the world might know he loved me once." Queen Victoria and Charles Dickens only met face-to-face on one occasion. That meeting took place in March 1870, just a few months before Dickens's death in the June of that year. Victoria noted in her diary that she had found him to be "...very agreeable, with a pleasant voice and manner." When, at the age of eleven, Charles Dickens was sent to work at Warren's Blacking factory, he was befriended by an older boy whose name was Bob Fagin. Dickens later used his name for the character of Fagin in Oliver Twist. "...Dickens, more than any other, has made London his own: he embraced the whole of its manifold complexities. As he himself would be found walking, with giant strides, in all parts during the day and night, so that you might have encountered him at one moment on Hampstead Heath, and at another down Shadwell way, and at yet another in the wilds of Hammersmith, so in his books he keeps to no special quarter, and may have paraphrased a famous mot and exclaimed: "All London is my province."" Charles Dickens was born in Portsmouth on 7th February 1812. Throughout his life he shared a love/hate relationship with London. It was a city that gave him his greatest triumphs, but it was also the city in which he experienced emotional turmoil and personal tragedy. It was the city of which he became the undisputed chronicler, recording its sights, sounds and smells in vivid detail and creating such colourful images of the people and places of the Victorian metropolis that its streets and buildings are often referred to as, quite simply, Dickens London. There are many different film version of A Christmas Carol and we now have a page that reviews them! "... In everybody there is a certain thing that loves babies, that fears death, that likes sunlight, that thing enjoys Dickens..."
"...Heads, heads - take care of your heads. Terrible place - dangerous work - other day - five children - mother - tall lady, eating sandwiches - forgot the arch - crash - knock - children look round - mother's head off - sandwich in her hand - no mouth to put it in - head of family off - shocking, shocking..."
"...It is strange with how little notice, good bad or indifferent, a man may live and die in London..."
"...It was a foggy day in London, and the fog was heavy and dark. Animate London, with smarting eyes and irritated lungs, was blinking, wheezing, and choking; inanimate London was a sooty spectre, divided in purpose between being visible and invisible, and so being wholly neither...."
"...A word in earnest is as good as a speech..."
"...The appearance presented by the streets of London an hour before sunrise, on a summer`s morning, is most striking even to the few whose unfortunate pursuits of pleasure, or scarcely less unfortunate pursuits of business, cause them to be well acquainted with the scene. There is an air of cold, solitary desolation about the noiseless streets which we are accustomed to see thronged at other times by a busy, eager crowd, and over the quiet, closely shut buildings, which throughout the day are swarming with life and bustle, that is very impressive..."
"..."It was as true," said Mr. Barkis, "as taxes is. And nothing's truer than them"..."
"...The father of this pleasant grandfather, of the neighbourhood of Mount Pleasant, was a horny-skinned, two-legged, money-getting species of spider who spun webs to catch unwary flies and retired into holes until they were entrapped. The name of this old pagan's god was Compound Interest..."
"..."It's always best on these occasions to do what the mob do." "But suppose there are two mobs," suggested Mr. Snodgrass. "Shout with the largest," replied Mr. Pickwick..."
"...It is a melancholy truth that even great men have their poor relations..."
"...Mrs. Joe was a very clean housekeeper, but had an exquisite art of making her cleanliness more uncomfortable and unacceptable than dirt itself..."
"...And there he sits, munching and gnawing, and looking up at the great cross on the summit of St. Paul's Cathedral, glittering above a red-and-violet-tinted cloud of smoke. From the boy's face one might suppose that sacred emblem to be, in his eyes, the crowning confusion of the great, confused city--so golden, so high up, so far out of his reach..."
"...How well I remember the forlorn aspect of Fleet Street when I came out of the Temple! The street-lamps flickering in the gusty north-east wind, as if the very gas were contorted with cold; the white-topped houses; the bleak, star-lighted sky; the market people and other early stragglers, trotting to circulate their almost frozen blood; the hospitable light and warmth of the few coffee-shops and public-houses that were open for such customers; the hard, dry, frosty rime with which the air was charged (the wind had already beaten it into every crevice), and which lashed my face like a steel whip..."
"...There was no wind; there was no passing shadow on the deep shade of the night; there was no noise. The city lay behind him, lighted here and there, and starry worlds were hidden by the masonry of spire and roof that hardly made out any shapes against the sky. Dark and lonely distance lay around him everywhere, and the clocks were faintly striking two..."
"...Circumstances may accumulate so strongly even against an innocent man, that directed, sharpened, and pointed, they may slay him..."
"...although a skilful flatterer is a most delightful companion, if you can keep him all to yourself, his taste becomes very doubtful when he takes to complimenting other people..."
"...For your popular rumour, unlike the rolling stone of the proverb, is one which gathers a deal of moss in its wanderings up and down..."
"...Night, like a giant, fills the church, from pavement to roof, and holds dominion through the silent hours. Pale dawn again comes peeping through the windows: and, giving place to day, sees night withdraw into the vaults, and follows it, and drives it out, and hides among the dead..."